A man suspected in a carjacking and kidnapping that occurred in Kansas City, Missouri, has been captured. Robert “Robbie” Caldwell, 25, of Danville is facing multiple state and federal charges. He is accused of being involved with a kidnapping and carjacking that occurred Jan. 22 in Kansas City. Robert Caldwell, 25, of Danville was arrested at 3:35 p.m. Tuesday, Jan. 27 after a vehicle pursuit followed by a foot pursuit by the Kentucky State Police, the Lincoln County Sheriff's Department and the Stanford Police Department, according to a press release from the Federal Bureau of Investigation. Caldwell is being held in Lincoln County where he is facing local, state and federal charges including first-degree fleeing and evading, first-degree criminal mischief, kidnapping, robbery, and theft by unlawful taking (auto). Caldwell was arrested in connection with a carjacking and kidnaping that occurred early in the morning of Jan. 22. The victim managed to escape after a struggle with his assailants and was located near St. Louis. 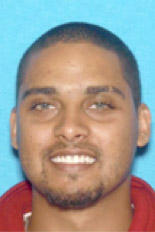 At least one suspect fled in the victim's vehicle, and according to the FBI, Caldwell is believed to be that suspect. The victim's vehicle was later recovered after it was involved in an accident in Bardstown. At 12:55 p.m. Tuesday, two state police detectives reported they they'd been in a hit-and-run, sideswipe collision with a white 2005 Jeep Wrangler on Thomas Ridge Road in Casey County. The detectives attempted to pursue the Jeep, but could not locate it. The state police later learned that the Jeep had been stolen from Turkey Creek Road in Casey County. According to the state police, the suspect came out of the woods near that property and forced a 13-year-old male to get in the Jeep at gunpoint. The boy was released unharmed a short time later, the state police reported. That Jeep was located after several hours of searching and the pursuit ended in Lincoln County. The Lincoln County Sheriff's Office took Caldwell into custody, and he is being held at the Lincoln County Regional Jail. The FBI noted that the Kentucky State Police, the Boyle County Sheriff's Department, Standford Police, Lincoln County Sheriff's Department, Junction City Police, Nelson County Sheriff's Department, Pulaski County Sheriff's Department, and the Knoxville (Tenn.) Police Department assisted with the search.